If you think you’ve seen the best there is in terms of Man of Steel trailers, you ain’t seen nothing yet! To say that this new Man of Steel trailer is action-packed would be the understatement of the century. It not only gives us great new footage, but it truly shows the massive scope of the film. Hearing General Zod’s message gives you chills, and the scenes that follow prove that Superman is finally getting the film he deserves. Check it out…words don’t do it justice. 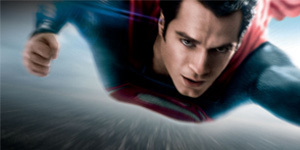 Man of Steel opens June 14, 2013. How the frick did Ruffalo bring depth to the character?